A quarter of businesses managed to comprehensively embed cloud within its operations. Despite ambitions for the cloud to reduce overall business expenditure, unrealistic cost estimates and complex, time-consuming tasks means they’re not quite hitting the mark. This is according to a new report by Rackspace and Forrester Consulting. Called Maintaining Momentum: Cloud Migration Learnings, the June 2018 study says just 28 per cent of businesses claim cloud has been ‘comprehensively' embedded across their organisation. 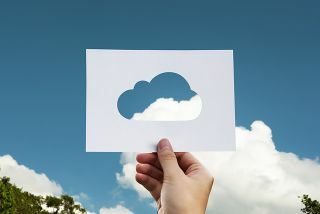 Describing the way organisations move apps and data to the cloud, the report claims 71 per cent of businesses, and IT decision-makers across the UK, France, Germany and the US, report they’re now more than two years into their cloud journey. The main driver for cloud adoption, for at least half (50 per cent) of respondents, is the cut in costs. However, 40 per cent said that now, few years into the process, migration costs were higher than they had originally anticipated. Businesses have massively underestimated the greater task at hand, encountering a number of both technical and non-technical internal barriers. Data issues around capture, cleaning, and governance; workload management in the cloud; and vision and strategy for the transformation were the most commonly cited challenges, it was said. Post-migration, respondents highlighted a lack of adequate user training; cultural resistance to cloud migration; and inadequate change management programmes as their greatest challenges.